Are we being too harsh on this front? It’s hard to say. 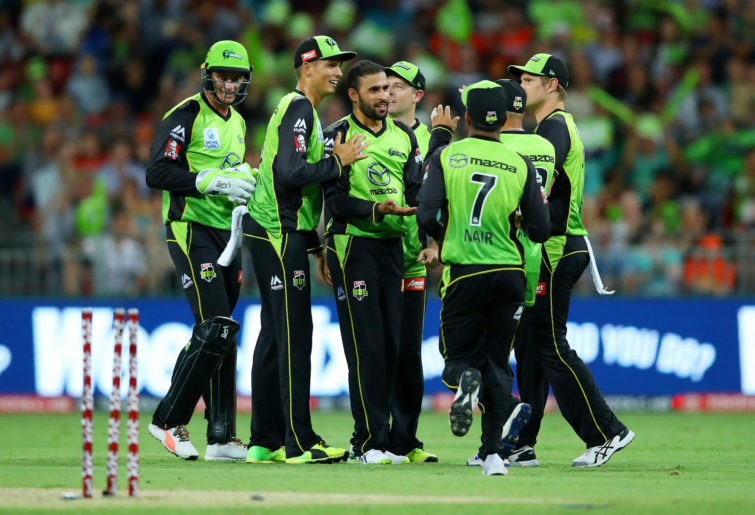 The BBL has lost much of its previous lustre this season, with teams getting themselves into impossible situations far too frequently and the competitive aspect of the league suffering as a result. For every Scorchers-Hurricanes there’s been half a dozen Heat-Thunders (though at least no other game has been halted by a power failure like we’re in the 1930s). A common theme through this column has been T20’s randomness, which is part of its appeal but also makes weekly rankings challenging. Here’s a proof point for you: in the past eight games the Heat beat the Renegades, the Renegades beat the Sixers, the Sixers beat the Heat. Yet the Sixers are in second and the ‘Gades are in third on the ladder, and the Heat are mired in second last place. Work that one out. It might be that no team is really that good. Well, other than the Hobart Hurricanes, who after two commanding (in their own way) victories this week are almost certainly going to make the top four and nab a home final. I was somewhat unconvinced by their prospective line up in the pre-season, but through their eight games (two fewer than the Sixers and Renegades, who are immediately behind them – hence the finals optimism) the team’s focus on building or chasing big totals is working a treat. Indeed, their only loss came in a final over against the Renegades. 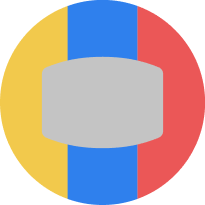 Who is best placed to catch them? It’s likely the Adelaide Strikers, who are about to hit their final five home and away games with their strongest line-up. From there, it still a little murky. Onto the rankings. 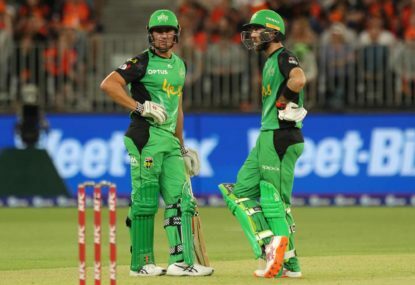 The ‘Canes were 2-0 this week, beating down a weakened Melbourne Stars line-up at the MCG to begin the week before chasing down the Perth Scorchers in remarkable fashion on Friday night (unfortunately on Fox Sports only). That game was noteworthy if only for how well Perth batted after falling to 3/7 early doors. That should’ve been it for the home team, but a stoic display from Sam Whiteman and very handy late innings contributions from Nathan Coulter-Nile and Andrew Tye helped Perth get to 9/177. More on Perth in a bit. Hobart lost wickets at regular intervals, though were never really behind their required rate throughout the innings. 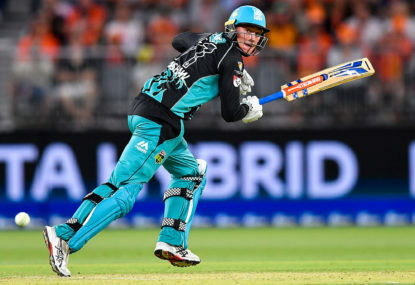 George Bailey put in another phenomenal short-form display to get his team to a winning spot, and James Faulkner did what he has done maybe once or twice before and finished it off (with a 6 4 6 of Tye in the first three balls of the final over). What made it even more incredible was Faulkner was struggling to score before that finishing flurry – he was 12 off 17 heading into the 20th. The bowling still looks suspect, but as we’ve said a few times now, it hasn’t really mattered. The ‘Canes can still add an international player for the stretch run if they feel the need, but you suspect they’ll keep cooking with their winning formula. They’ll be tested this week, with away games at Adelaide Oval and the SCG before three straight home games. We didn’t see the Strikers at all last week, and no one below them has done enough to make me believe they’re not the second best team in it. Adelaide has a busy run home having played just eight games to date, and it gets underway immediately with a game against Hobart this evening. Puzzlingly, neither Travis Head nor Peter Siddle have been permitted to play for the Strikers tonight, despite the first Test against Sri Lanka being just under 72 hours away. That’s unfortunate, if only because we’re yet to see this team at its strongest. Call it recency bias, but Sydney’s strong win against the Brisbane Heat was a complete enough performance that I still think they’re the third best team in it. Losing to the enigmatic – and completely unpredictable – Melbourne Renegades is no big deal, given the red Melbourne team has looked unconvincing all season. Consistency is the key here; the Sixers have been able to keep their head above water in most situations, and have shown they have the depth to escape challenging circumstances. If only the team could figure out their top-order batting, I feel they could contend for a home final with four games to go. Just the one hit-out for the Thunder this week, and in reality it was only half a hit out on account of the power failure at the Gabba on Thursday night. 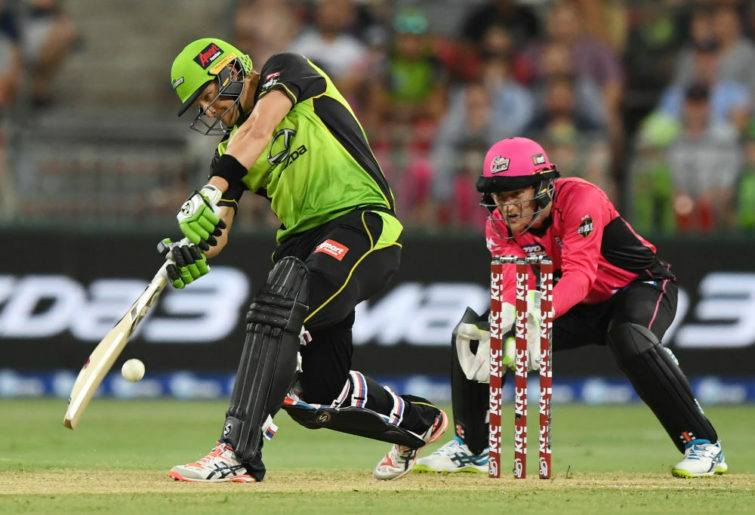 Shane Watson pummelled the hapless Heat’s attack to record the competition’s first three-digit score, and the rest of the side managed to move the score along well enough around him that a tantalising chase looked in prospect. Sadly, we didn’t get to see much of said chase, although what we did witness suggested the Thunder would romp to a win. The lights went out with the Heat 2/10 and needing ten an over for 85 per cent of their innings; Sydney would’ve won. Instead, a No Result was declared, and the Thunder rightfully protested. To date, nothing has come of it, which doesn’t bode well. 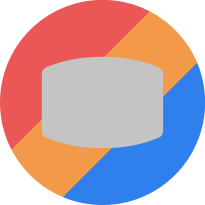 One of two changes in this week’s rankings is a slight upgrade to the Perth Scorchers (and fall for the Melbourne Renegades). 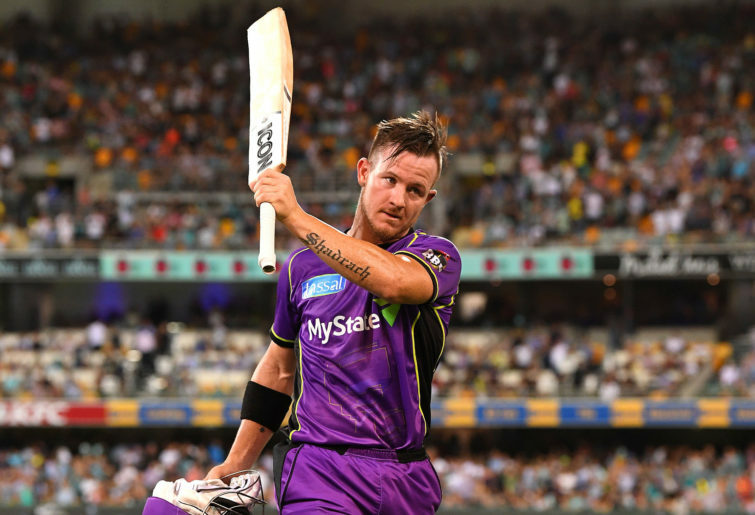 This is partially due to the team’s improved performance – the recovery from 3/7 to their highest total of the season (177), and taking the Hobart Hurricanes right to the last over of the match. They had no right to take that game so deep, and if it weren’t for the half volley volley delivered by AJ Tye the Scorchers might well have pulled off the miracle win. Perth are about to get significant reinforcements in the form of Shaun and Mitch Marsh in the batting stakes and Jason Behrendorff in defence. Jhye Richardson – on a tear in every format this season – might not play for them every again now he’s made the national Test team, but Joel Paris has done well in his stead. They’re still alive, but will need to beat the Sydney Thunder on Thursday night to stay that way. 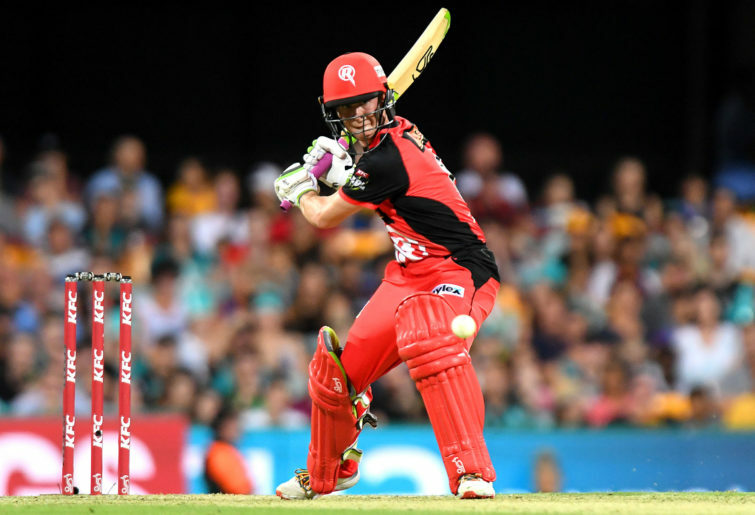 An unconvincing win against the Sydney Sixers and a loss to the national squad-infused Melbourne Stars means the Renegades are primed to completely shred the Sydney Thunder this week. That’s just how they roll. The ‘Gades are third on the ladder for now but have just four games remaining, and they’re all tough (the Thunder twice, Scorchers away, and Hobart away). They could go on a tear and end up on top, but I suspect the ‘Gades miss the top four from here. 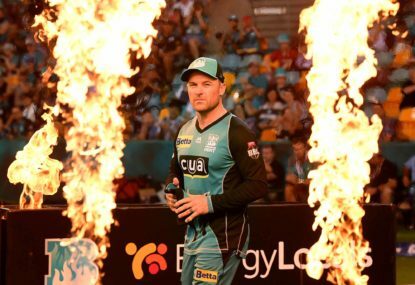 The Stars get an upgrade for their meritorious win over the Melbourne Renegades – funny what happens when you add a bunch of international-calibre players to a T20 line-up – and because the Brisbane Heat have fallen away dramatically. 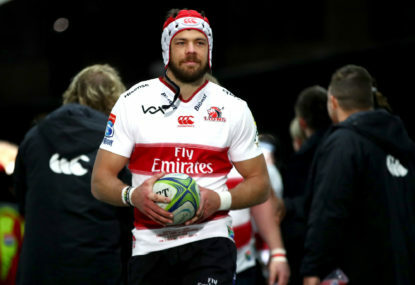 Their weak Net Run Rate may ultimately make a push to the top four a win too far away, but given they’re on four wins with five games remaining, a 9-5 season is still possible. It’ll come down to the team’s batting. On paper, they have one of the strongest line-ups in the competition, particularly now we’re done with short-form international cricket for the summer. 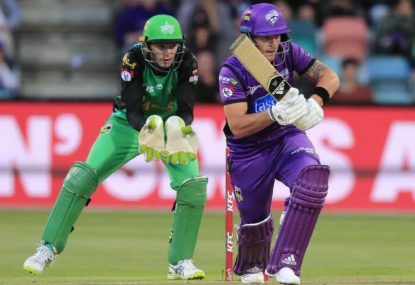 For a fleeting moment, the Heat looked as though they’d become the Hobart Hurricanes. But no. With no path to victory beyond two of Max Bryant, Chris Lynn and Brendon McCullum scoring lots of runs, Brisbane just aren’t built for sustainable success. If rebuilding was a thing in this competition, it might be time for Daniel Vettori and his crew to play the kids and look ahead to next season.